Hi! My life has changed so much since the last post! 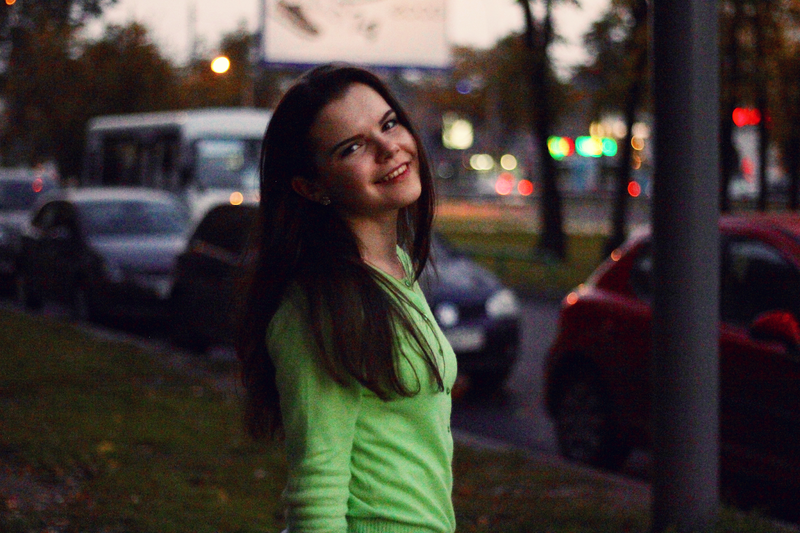 And it's the coolest feeling to live new life, meeting new people, visit new places. After such hard time with the exams and all that stuff I've finally entered Moscow State University of International Relations (sounds too nerdy, I know;)) or MGIMO in short. So, I major in international trade and I'm really happy about it. Having so much going on around me, I forgot about my blog. But here I am! 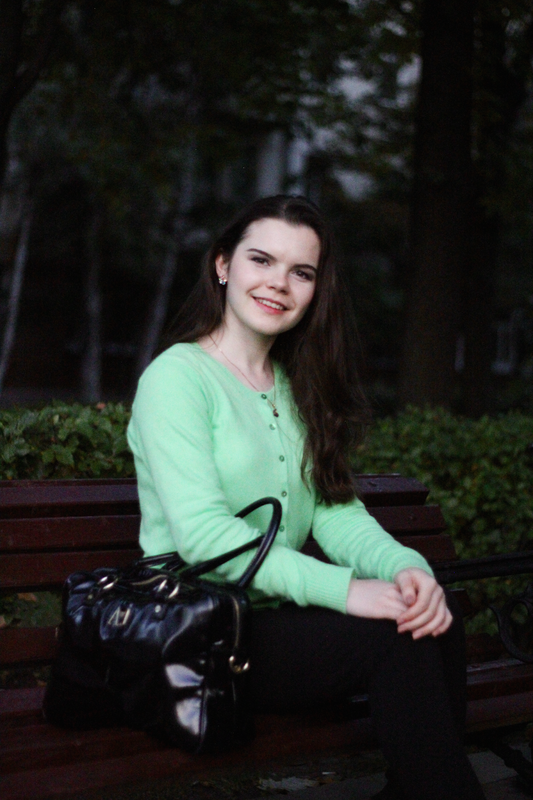 Eighteen years old happy student who lives in Moscow and study international commerce. 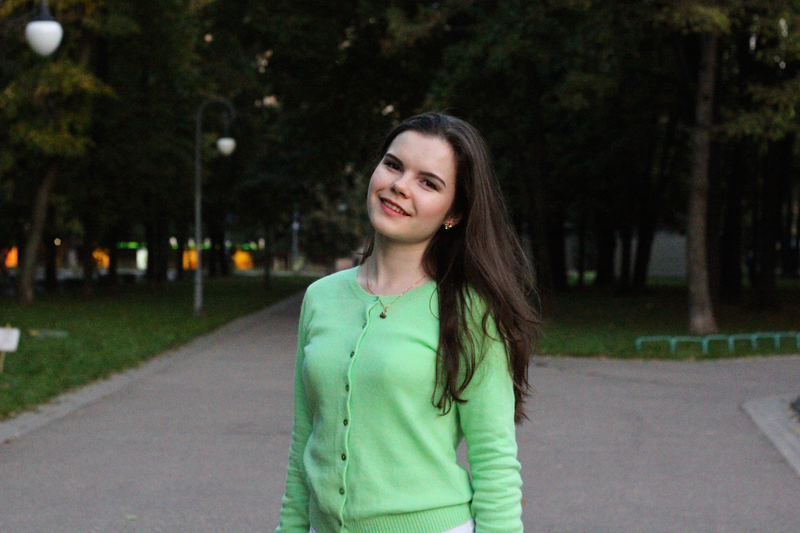 This is how I looked on my first day at university, simple but still classy and trendy because of pastel green sweater. All this clothes I bought in Benetton. Their autumn collection was full of great clothes for work. What about you? Is there something interesting in your life? Maybe you have bought a new bag or coat, haven't you? Do you know the coolest vintage shop in Moscow? Write me on Facebook, Twitter or add me on Instagram! Let's chat with each other!